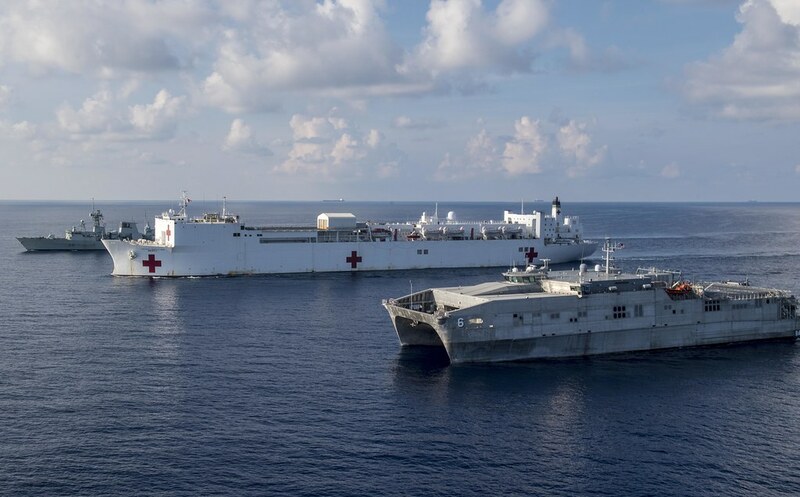 PACIFIC OCEAN - The 13th annual Pacific Partnership mission concluded June 21 after completing mission stops in Japan and throughout South and Southeast Asia. 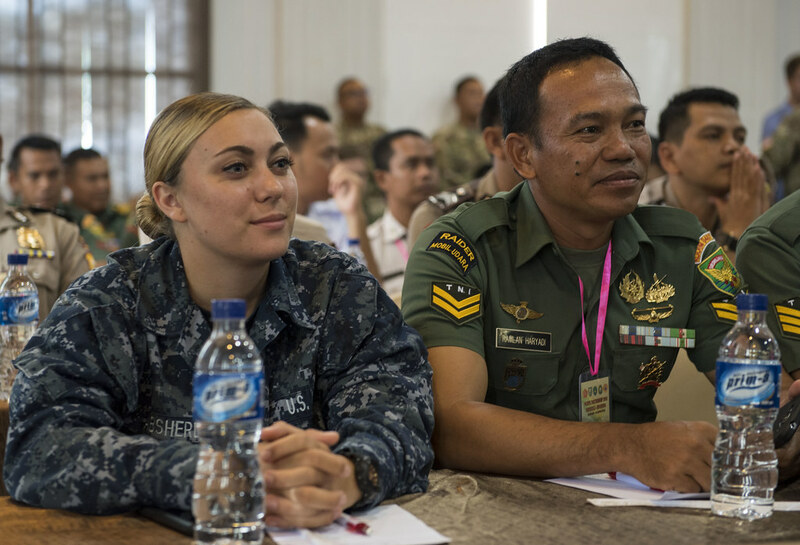 The annual multilateral, multi-service mission featured partner nation counterparts working together in eight Indo-Pacific nations to improve disaster response preparedness and enhance relationships across the region. "It has truly been an honor to lead the dynamic men and women of Pacific Partnership 18," said Capt David Bretz, Pacific Partnership 18 mission commander. "This mission is something myself, along with our entire team from Mercy and Brunswick will never forget. 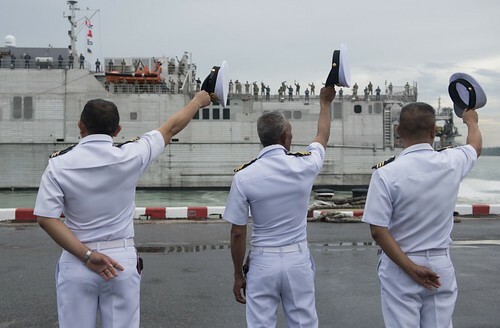 We set out to strengthen the bonds with our host and partner nations, and we achieved this with resounding success. I could not have done it without the hard work and dedication of our entire team and it is something I will look back on fondly for the rest of my life." The Military Sealift Command hospital ship USNS Mercy (T-AH 19) conducted mission stops in Indonesia, Malaysia, Sri Lanka, Vietnam and Japan while the expeditionary fast transport ship USNS Brunswick (T-EPF 6) made separate mission stops in the Federated States of Micronesia, Palau, Malaysia and Thailand. 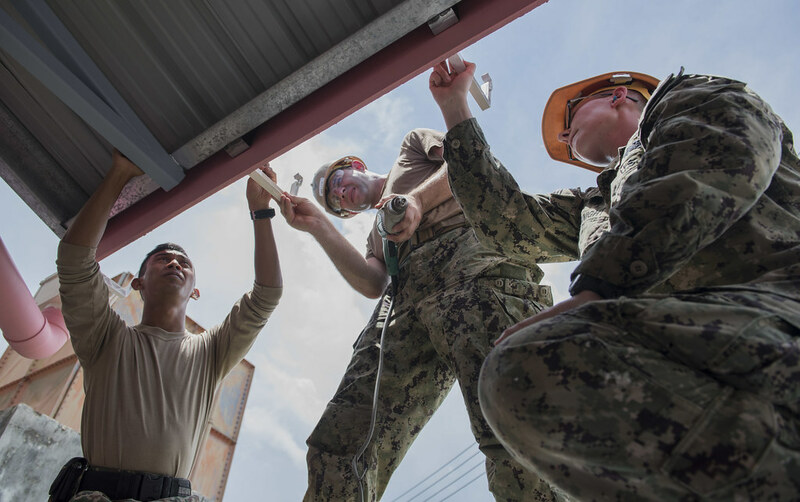 During these mission stops, the Pacific Partnership team conducted 765 host nation engagements covering four lines of effort: medical, humanitarian assistance/disaster relief, engineering and community relations. "USNS Brunswick proved to be an incredibly valuable platform for Pacific Partnership," said Royal Navy Capt. 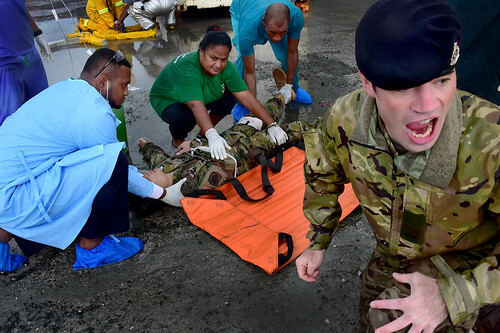 Peter Olive, deputy mission commander of Pacific Partnership 2018. "The versatility of the ship allowed us to transit shallow waters and visit ports like Yap and Palau, places that wouldn't be able to accommodate Mercy." 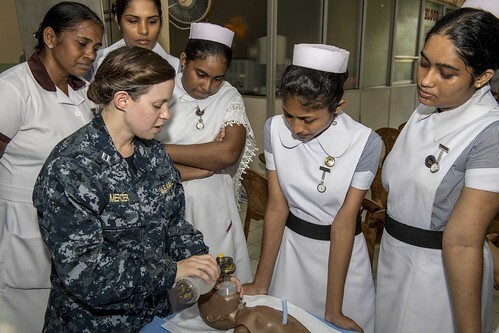 Pacific Partnership personnel partnered with more than 8,000 host nation medical personnel to hold 546 medical events, to include cooperative health engagements and subject matter expert exchanges. 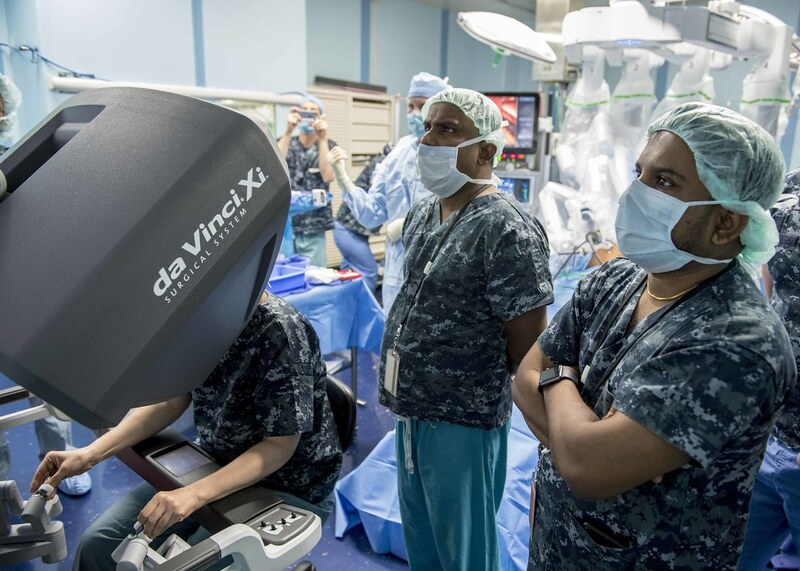 These partnerships allowed the mission to treat more than 12,700 patients and to conduct 62 surgeries on board Mercy. Civil engineering teams worked side-by-side with their host-nation counterparts to complete 19 renovation and construction projects on schools, health clinics, hospitals and community halls. Humanitarian assistance and disaster relief experts from the mission held 18 exchanges, six tabletop exercises and seven field training exercises to help host nation counterparts increase readiness for contingencies and natural disasters. 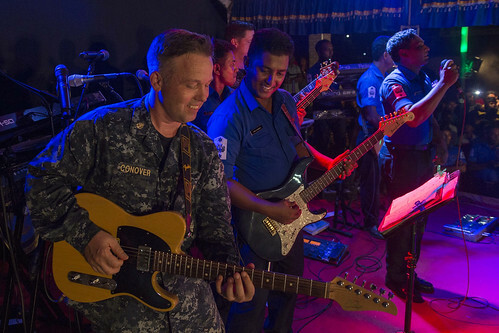 The mission also conducted 168 community outreach engagements, including performances by the Pacific Fleet Band, sports exchanges and public outreach events that allowed mission personnel to interact with over 63,800 host nation citizens. 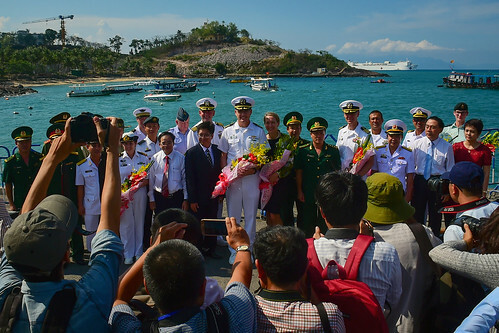 At the conclusion of the mission stop in Vietnam, the Brunswick crew disembarked the ship and rejoined the crew of the Mercy. Mercy then sailed to Japan where the ship made separate port calls in Yokosuka and Tokyo. 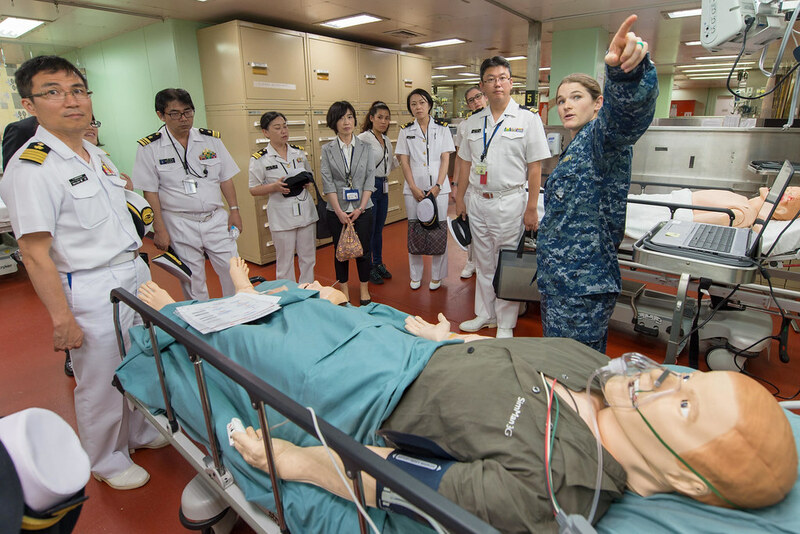 At these stops, service members participated in medical symposiums, humanitarian assistance/disaster relief exercises and hosted tours for government personnel, media and the Japanese public.